Tennessee Williams’s “A Streetcar Named Desire” is among the most popular recurring productions in regional theater, with a couple of bucket-list roles for ambitious actors: the loutish Stanley Kowalski and his wilting-flower sister-in-law Blanche DuBois. The current revival of this favorite play runs in the studio theater at 6th Street Playhouse in Santa Rosa through February 17. Directed by Phoebe Moyer, Ariel Zuckerman and Juliet Noonan do justice to these difficult parts, aided by superb supporting performances from Melissa Claire as Blanche’s pregnant sister Stella, and Edward McCloud as Mitch, Stanley’s bowling-and-poker pal who falls under Blanche’s spell. With a consistently bland mid-south accent and palpable emotional tenderness, Claire is rock-solid as the long-suffering sister, moving from joy at being reunited with Blanche to despair at having to get her removed from the cramped flat she shares with Stanley. McCloud also has a complicated path to traverse as Stanley’s army buddy who asserts himself enough to pursue Blanche, only to have his hopes dashed by plausible tales about her scandalous behavior back in Laurel, Mississippi. Zuckerman apparently relishes his part as the savage Stanley, and in many scenes seems to be channeling Marlon Brando, whose portrayal of Stanley in the film version has forever affected those who followed. Zuckerman even looks like the young Brando, and some of his postures are eerily like the film actor’s. He’s also in great athletic shape, much more impressive than Brando in his youth. Juliet Noonan has the unenviable task of carrying the bulk of the drama—like Martha in Edward Albee’s “Who’s Afraid of Virginia Woolf?” Blanche DuBois is among the most demanding roles in 20th century American theater, perhaps the female equivalent of Hamlet, and Noonan gets it about ninety percent right. Her physical gestures are evocative, and her timing excellent, but she falls in and out of her Mississippi plantation accent. With moments of true pathos, she beautifully conveys Blanche’s self-delusion and persistent manipulation of those around her. Matt Farrell and Laura Downing-Lee are very good as Steve and Eunice, who live upstairs from Stella and Stanley and provide Stella with comfort when Stanley rages. A full-size spiral staircase leads to their unseen apartment, an amazing bit of set design in 6th Street’s compact studio theater. 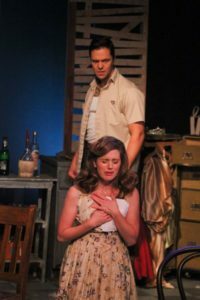 While not the best production this reviewer has seen, this “Streetcar” generates plenty of compelling heat—just right for a cold February night. 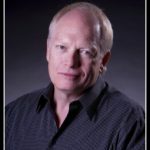 ASR Senior Editor Barry Willis is a member of the American Theatre Critics Association and president of the San Francisco Bay Area Theatre Critics Circle. 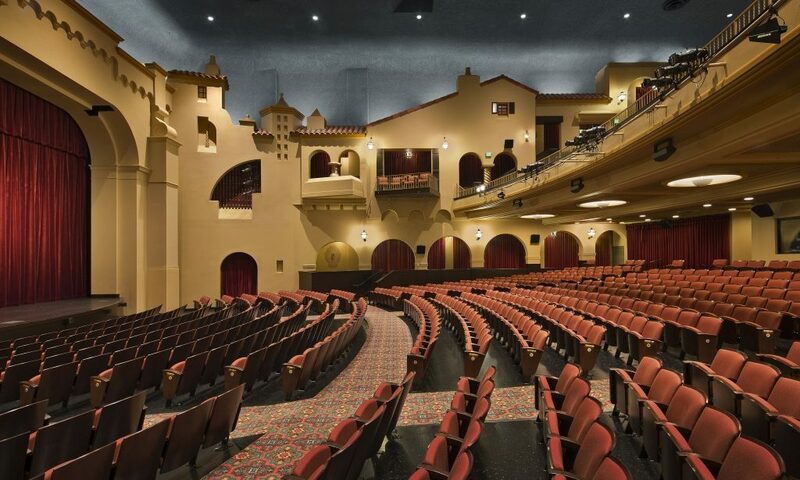 Aisle Seat Review PICK? Yes!